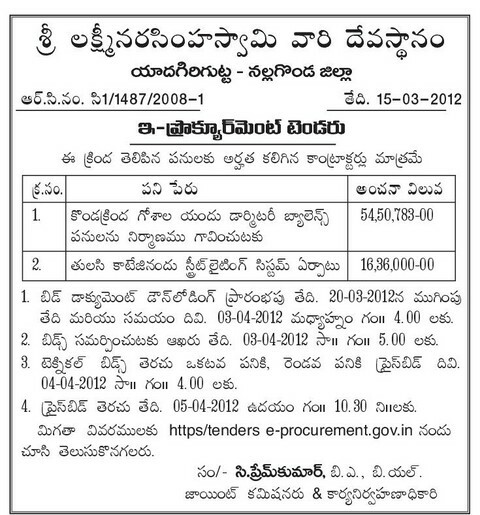 Tender announcement for dormitory balance work at Yadagirigutta Goshala and Street lighting system at Tulasi Cottage yadagirigutta is published in today's Eenadu Nalgonda District paper, this is for your info and in thought that if any body interested can go through. 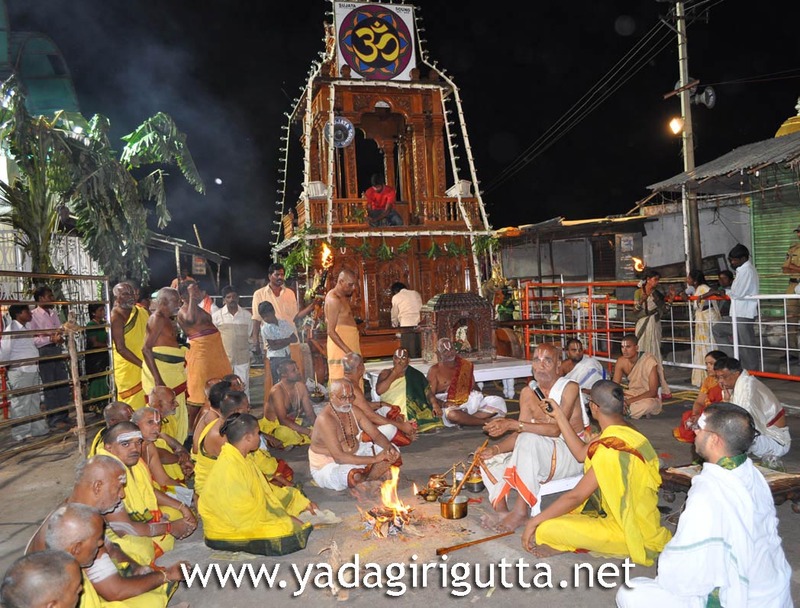 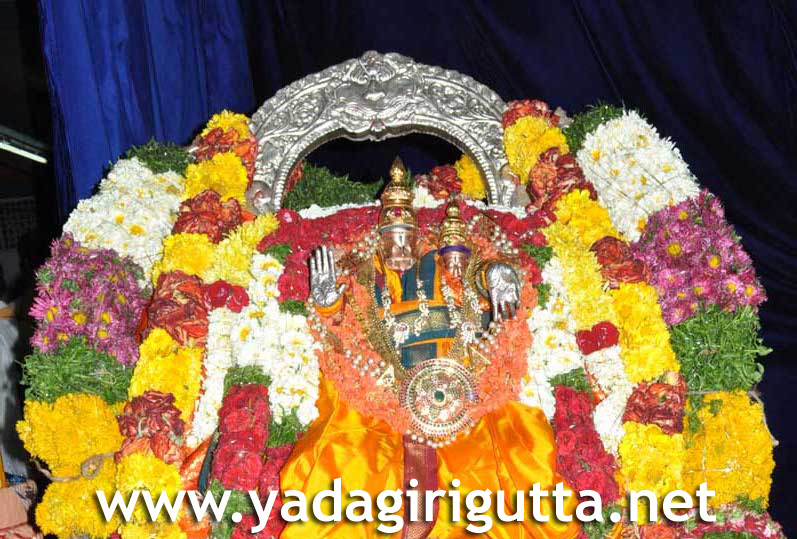 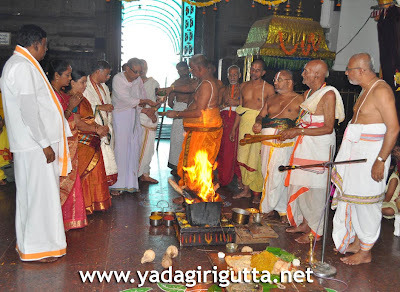 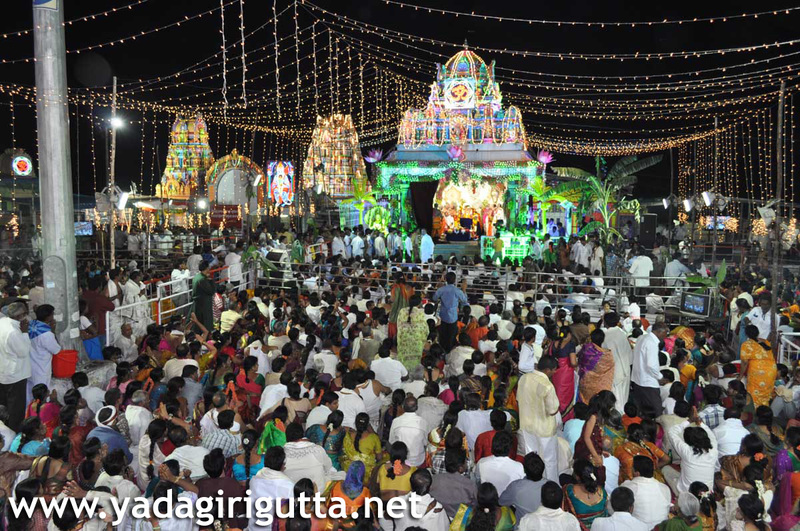 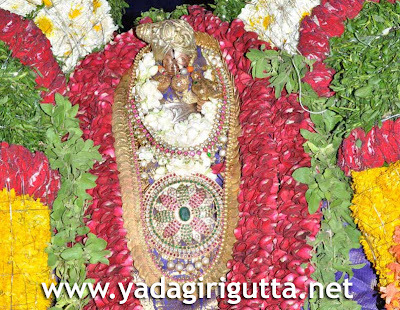 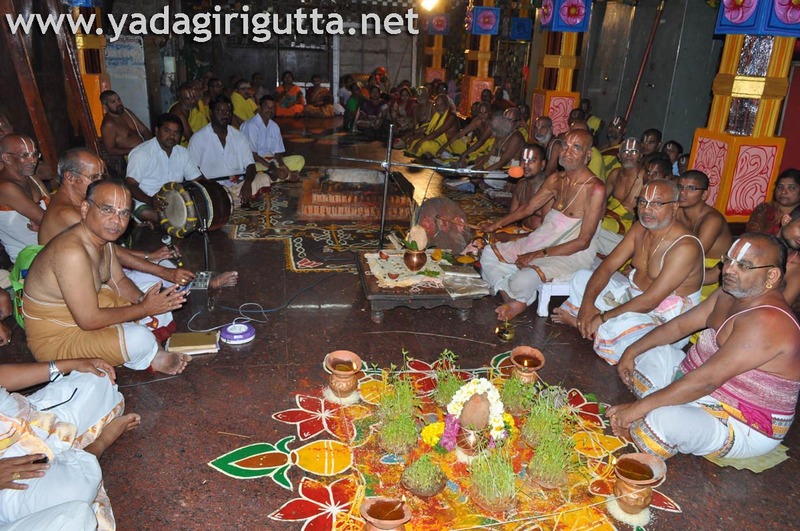 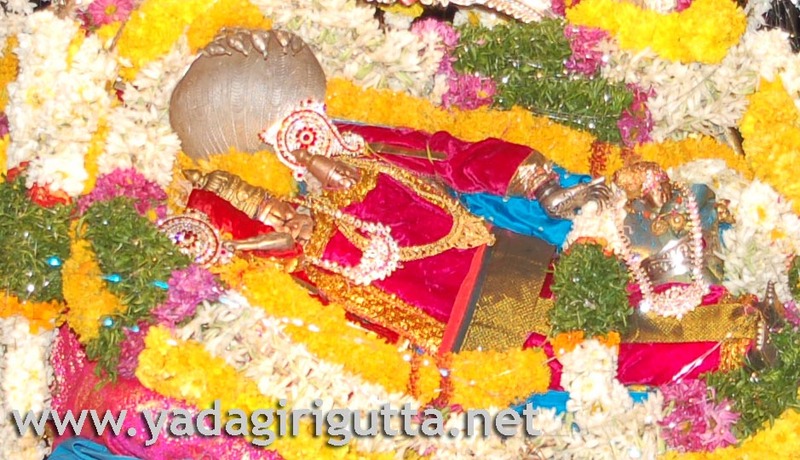 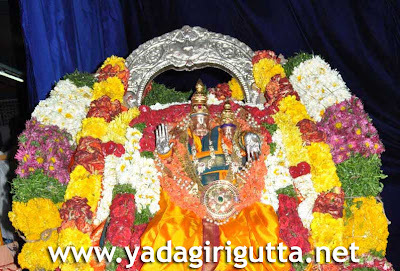 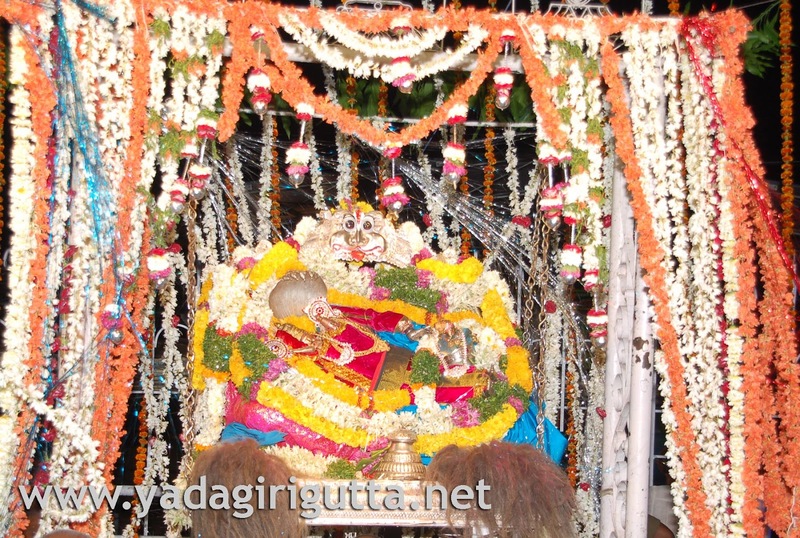 Yadagirigutta Brahmotsavam ends with Astothara Shatha Ghatabishekam puja in main temple and Sri Laxmi Narasimha Swamy vaari Sringara Dolotsavam on 05.03.2012, as well as the Sangeetha, Sahitya sabalu also completed on the same day at Sageeth Saba. 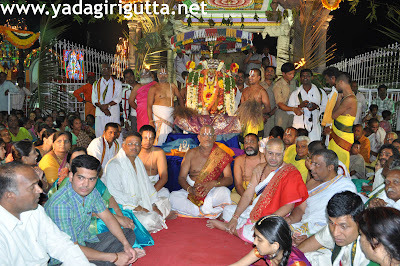 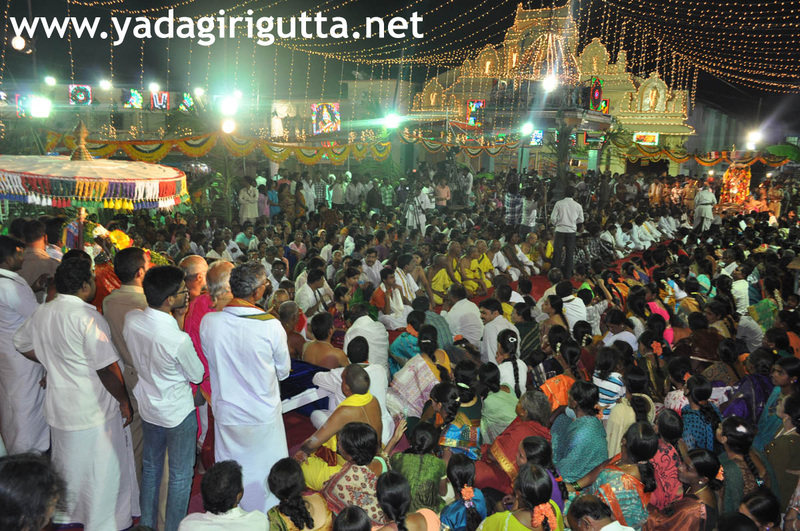 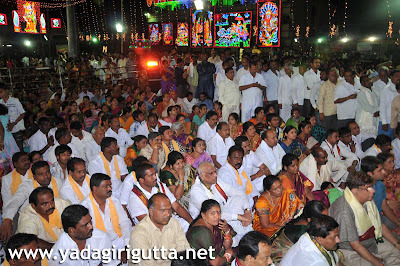 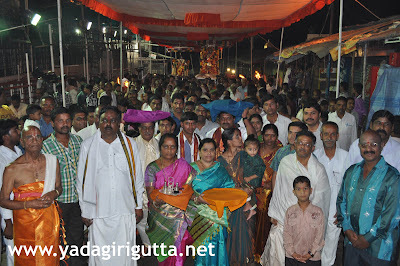 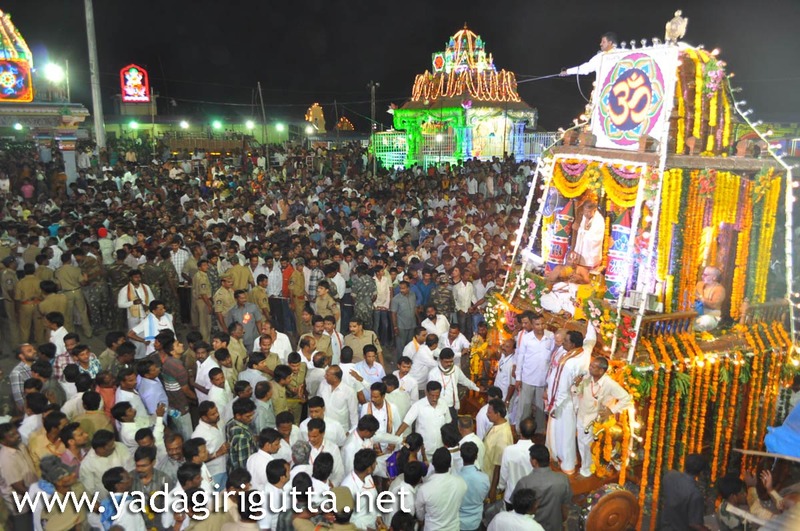 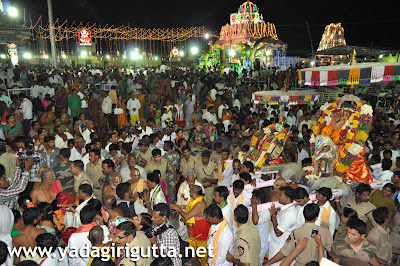 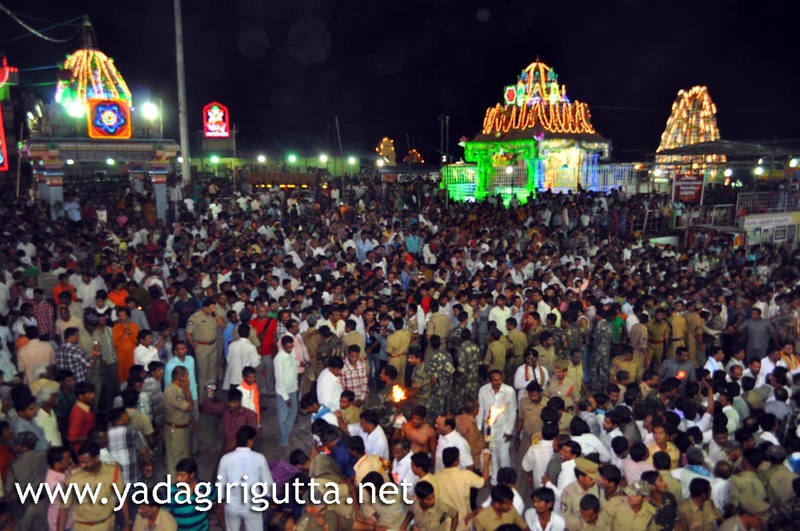 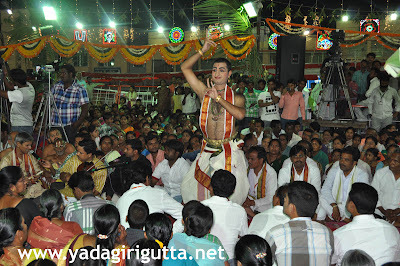 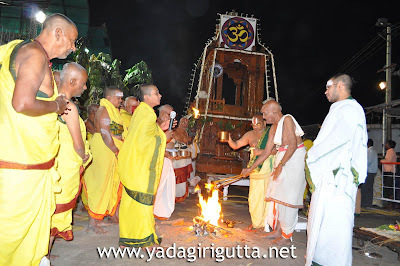 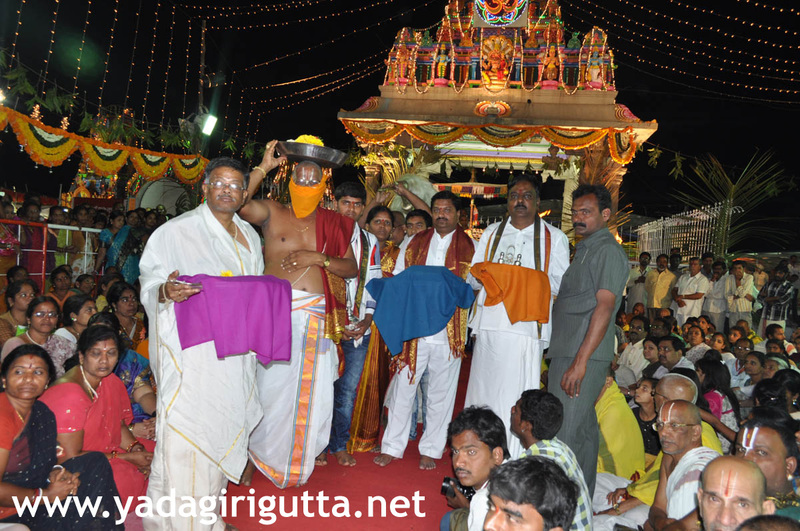 Rathotsavam of Yadagirigutta Sri Laxmi Narasimhaswamy held on 03.03.3012 midnight at yadagiri hill and celebrated grandly. 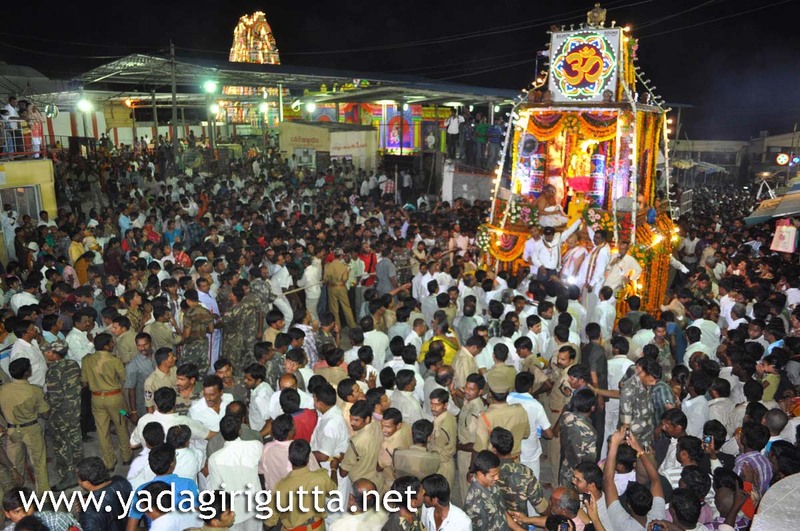 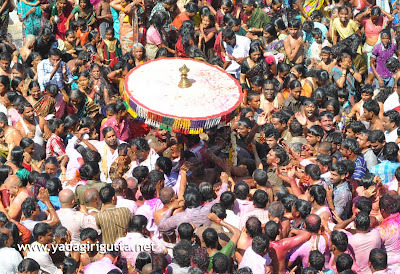 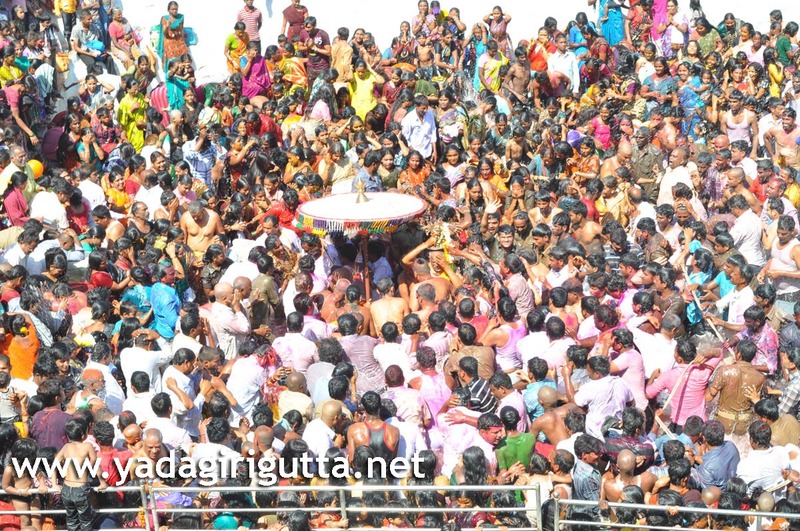 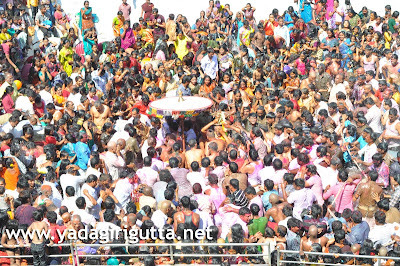 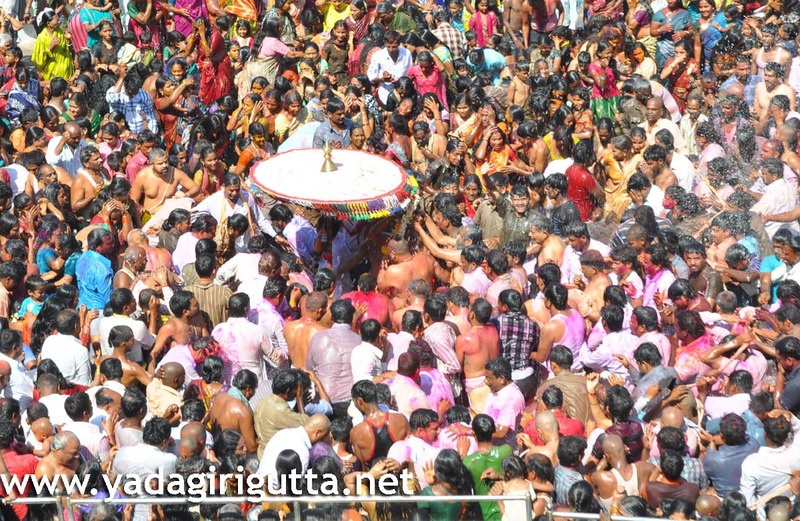 heavy rush was observed during the celebration as reported almost all the village people who are residing around the yadagirigutta and many other towns people of AP presented. 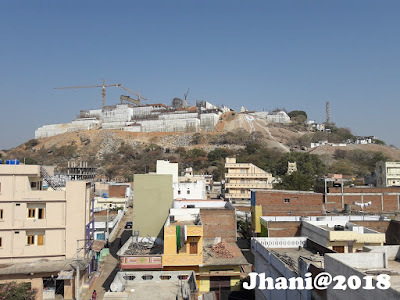 heavy police forces deployed for the security, first time we hear that breathing test was taken to people at down hill who are driving towards yadagirigutta temple. 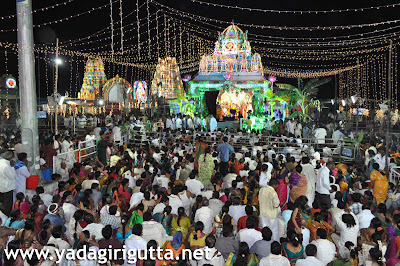 Below is the Photo Gallery of Yadagirigutta Sri Laxmi Nasarasimhaswamy thirukalyanamahosavam held on 02.03.2012 during the Brahmotsavam ceremony 2012. 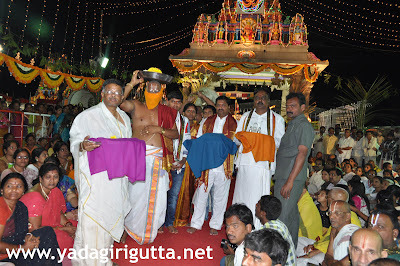 Chief Secretary of AP Pankaj Dwivedi & MLA Bixamaih Goud and their families presenting Silk Clothes to Laxmi Narasimha Swamy on behalf of Govt of AP. 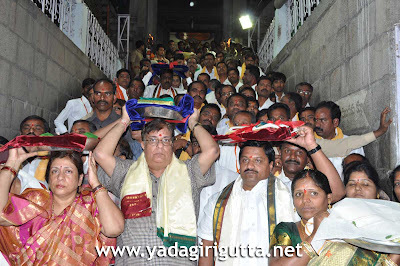 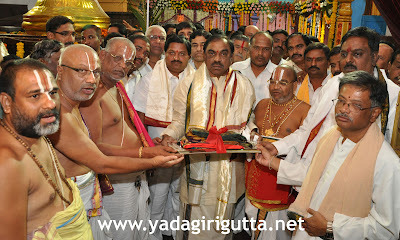 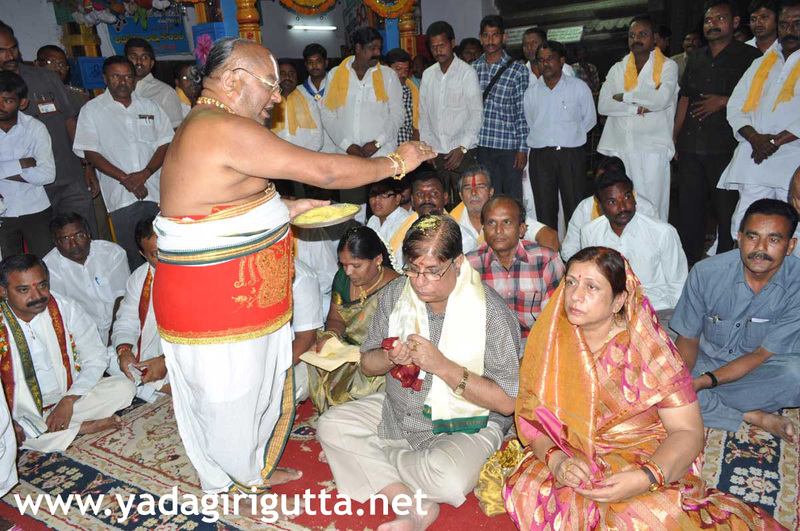 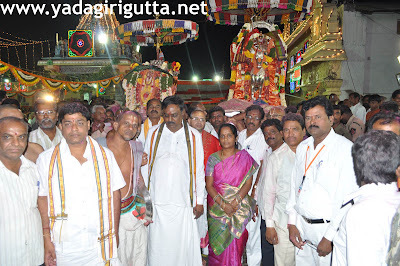 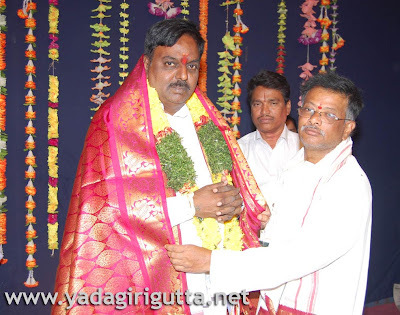 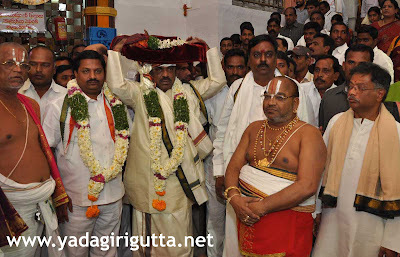 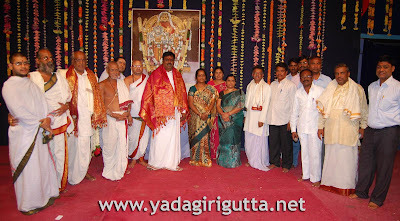 During the yadagirigutta brahmotsavam 2012 on Kalyanotsavam day Endowment Minister of AP C Ramachandraiah, Cheif Secreterary of AP Pankaj Dwivedi, Aler MLA Bixamaih Goud Visit the Yadagirigutta temple and Presented Silk Clothes and Pearls to Lord Narasimha Swamy for Kalyanam on behalf of Govt of AP. 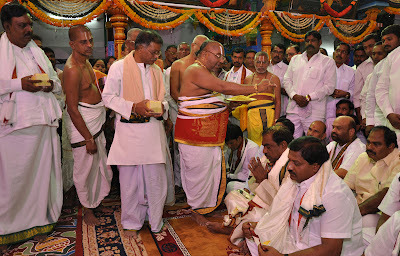 Temple Officials and Local leaders were present there to welcome them. 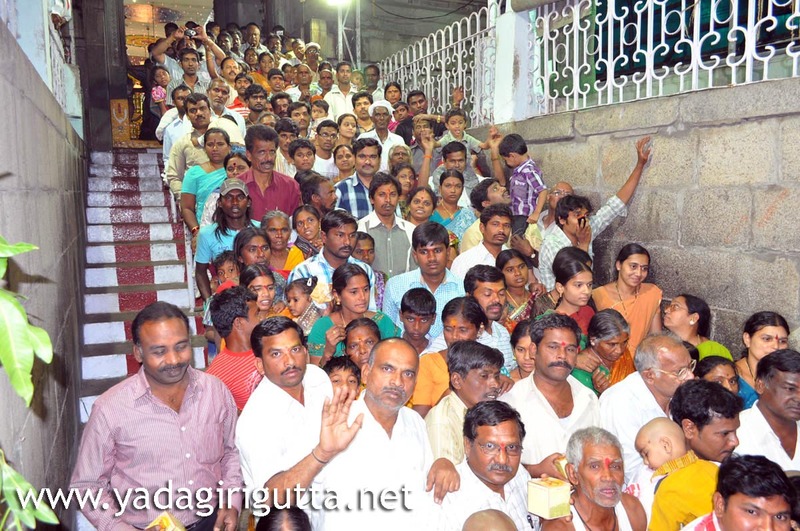 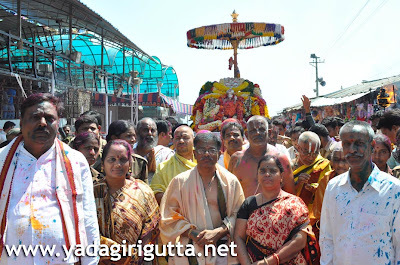 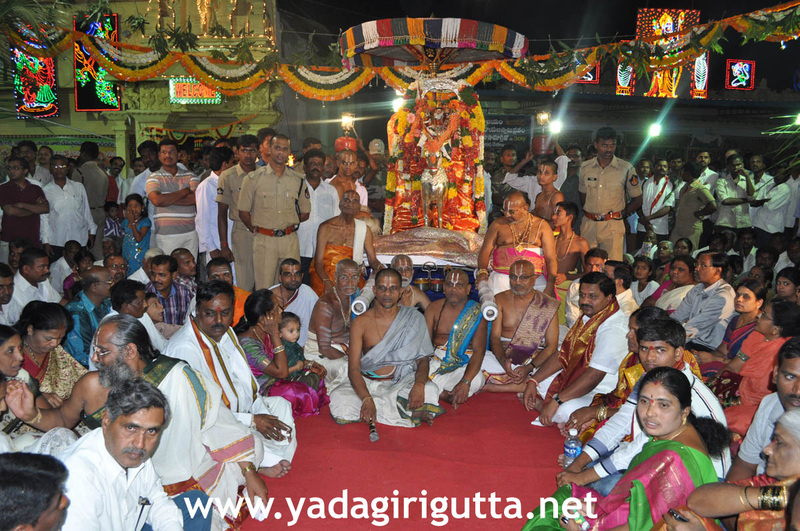 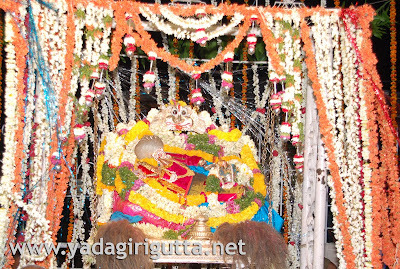 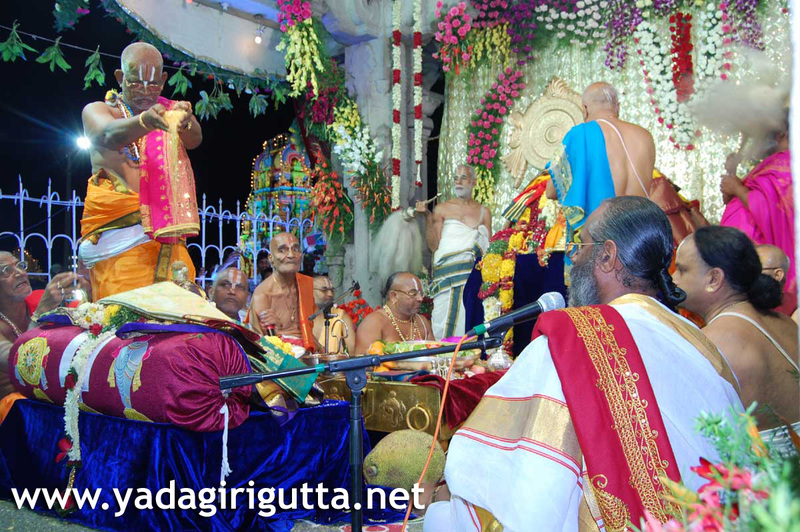 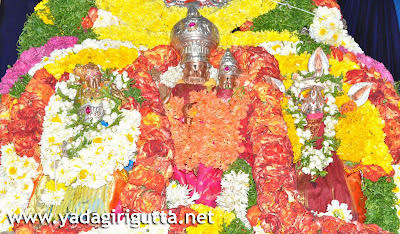 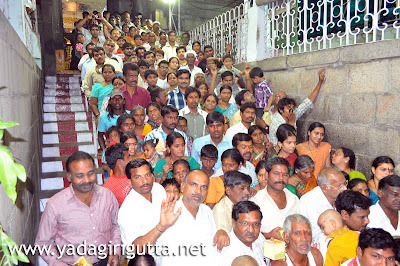 Below is the Photo gallery of Edurukolu Mahotsvam of Lord Laxmi Narasimha swamy during brahmotsavam at yadagirigutta held on 01.03.2012. 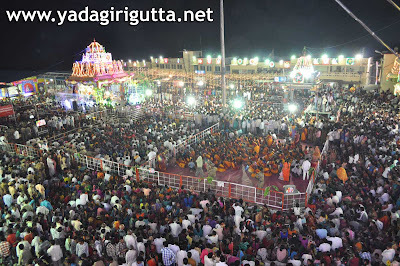 Since Almost every news channel and print media giving news about the yadagirigutta brahmotsavam 2012, i would like to inform you the below details where you can watch videos of Brahmotsavam. 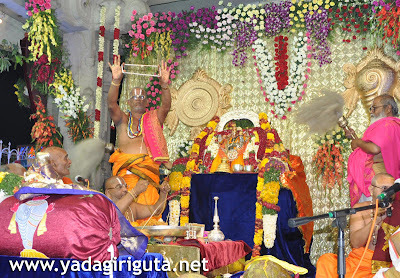 Watch Bhakthi TV daily at 9 AM for yadagirigutta brahmotsavam programs, it will also repeat in a day.